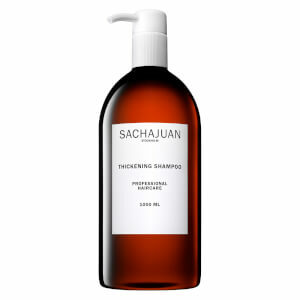 Revive limp, lifeless and lacklustre locks with the Thickening Conditioner from Sachajuan. Ideal for fine and thinning hair types, the Thickening Conditioner is designed to effectively condition hair, whilst promoting a lifted, volumised finish. Utilising Sachajuan’s signature ‘Ocean Silk’ technology, the mineral-rich formula detangles and smoothes hair to deliver a manageable finish. Expect full-bodied locks that are visibly healthy and ultra-shiny. Massage into freshly cleansed hair. 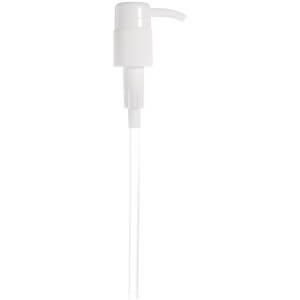 Aqua (Water) Cetyl Alcohol Stearyl Alcohol Glyceryl Stearate Stearamidopropyl Dimethylamine Dicaprylyl Ether Hydrolyzed Rhodophycea Extract Lactic Acid Amodimethicone Phenoxyethanol Vp/Dmapa Acrylates Copolymer Parfum Polyacrylate-1 Crosspolymer Peg-40 Hydrogenated Castor Oil Ethylhexylglycerin Cetrimonium Chloride Trideceth-10 Linalool Limonene Benzyl Salicylate Hexyl Cinnamal Benzalkonium Chloride.